Sweet delicious orange juice on a summer’s day, is there anything better? I know, a glass of homemade orange juice! That’s right, today I’m going to share with you my guide on how to make orange juice, everything you need to know if you’re making it with a blender, a juicer or even manually. 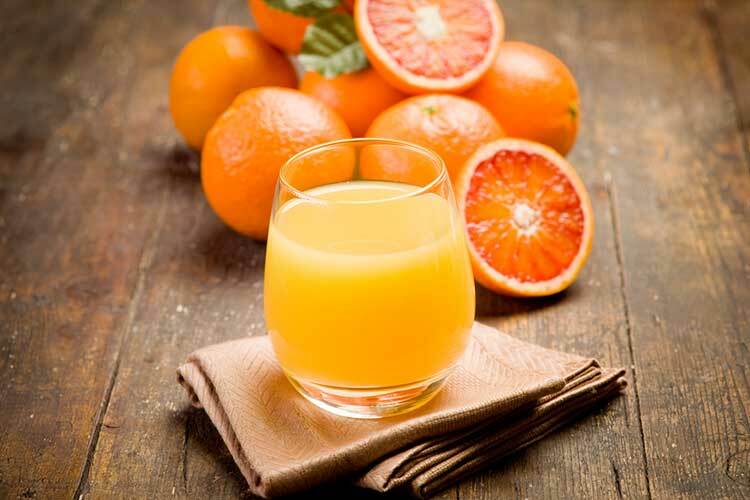 But first let’s take a look at some of the awesome health benefits orange juice has. Orange juice, of course, helps with the immune system because it’s packed full of vitamin C but I think everybody knows that by now. Here are some benefits you might not know about. Protect The Skin From Sun Damage – The Vitamin C helps your skin stay strong and can resist the damage that can be caused by UV rays, so it’s great in the summer or if you live somewhere sunny. It won’t replace sunscreen but it’ll help protect your skin alongside that keeping it youthful. Protect From Free Radicals – Free radicals are molecules that are all around you that try and steal electrons from your cells. What does that mean? I’ll tell you, it means your cells get mutated and damaged which can lead to all sorts of problems as bad as altering your DNA! So getting protection against them is a must and orange juice is the way to do that. 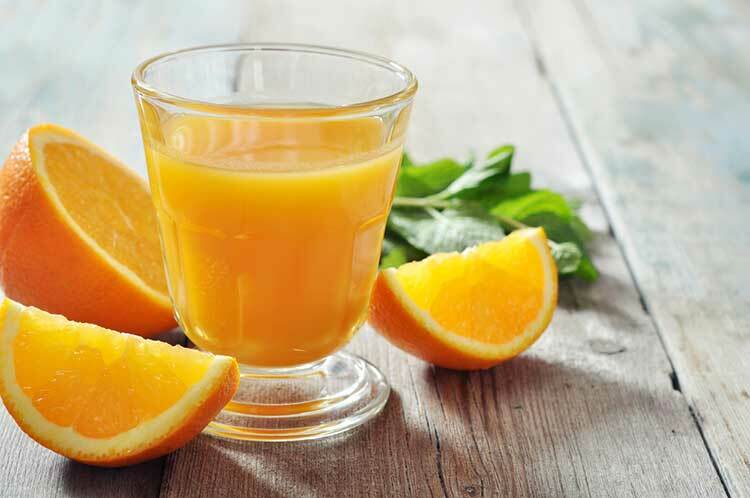 Stop Muscle Cramps – Finally orange juice is a source of Potassium which works in your body to help prevent muscle cramps, a nice addition to the diet of any gym goers. There are a surprisingly large number of types of orange in the world, and even in the United States. Luckily you can juice pretty much any type of orange, it just depends on your personal preference. What I will say though is to watch out for Navel oranges, these have a compound called limonin which when exposed to air makes the orange taste bitter. In Navel oranges, this is in the flesh so around 30 minutes after you juice it, it will become more bitter. Valencia oranges, however, are grown in the USA and the Limon is found in the seeds, which you’ll want to take out before juicing anyway, so it’ll stay tastier for longer making them the best choice for making orange juice. Navel oranges are still fine however if you’re going to juice them straight away. This is Juice Buff after all and we’re going to want to make our orange juice with a juicer! Now you can do this with either an electric juicing machine, a manual citrus press or even a blender, I like using a juicer machine because you get a lot of other uses from it in making juice but there’s nothing wrong with a manual one. 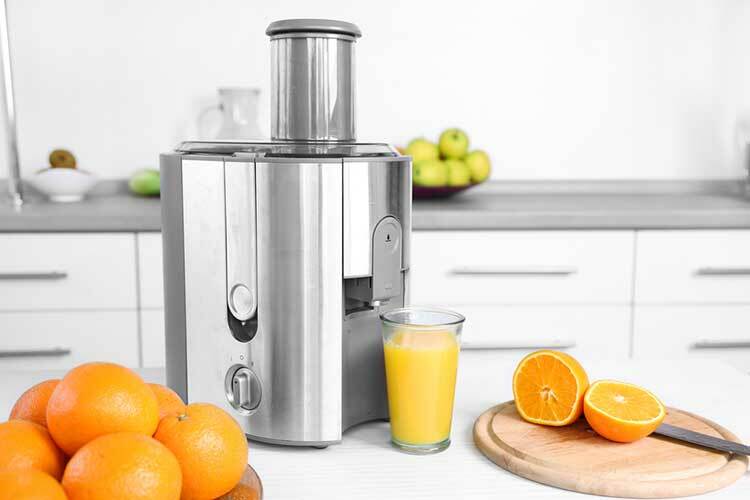 you can check out my top picks of orange juicers here. Blenders are fine too but they need a bit more prep and work in them to get a proper glass of orange juice which I find frustrating. This is with an electric juicer where you put fruit in the top and juice comes out the bottom. Step 1. Peel It – Always a good place to start, the orange peel has a really bitter taste to it so while you can put it through the juicer peel and all I wouldn’t recommend it, it just doesn’t taste good. You want to peel it either by hand or if that’s leaving a lot of the white pith on the outside then you’ll want to use a knife and just cut the peel off the outside. Step 2. Remove Seeds – Once it’s peeled, pull it apart into two halves and see if there are seeds in it, if so just flick them out using a knife (making sure you’re being careful of course!). This will help your juice last longer and improve the flavor but feel free to experiment with juicing your oranges with and without the seeds and seeing if you can taste a difference. Step 3. Put In The Juicer – And presto! You’re ready to go ahead and juice, get that juicer turned on, you’re glass underneath and go for it. Optional Step 4. Add Pulp – With an electric juicer, you get left with smooth orange juice in one container and pulp in another, if you want pulp in your drink just spoon some in and stir it! Easy peasy, just remember it’s a lot easier to put the pulp in than take it out! Manual Orange Juicers Come in all shapes and sizes, some are simple to use that fit straight into your drawer, others are big presses that make quick work but take up a lot of counter space. But they all work in roughly the same way. Step 1. Cut The Orange In Half – This time you’re going to keep the skin on and just cut the orange in half, from there you can remove any of the easy seeds you can see with a knife or even just with your finger. Don’t worry if there are still some seeds in there, they’ll get caught by the juicer. Step 2. Twist on The Juicer – Put it flesh side down on the juicing spike, squeeze and twist. Keep squeezing until all the juice has been removed and for an extra thorough step squeeze it and go for a back and forth motion instead of a twist, this gets any last bits of juice that might still be in the orange. Step 3. Enjoy! – That’s you ready to drink your delicious orange juice, and enjoy it, you’ve worked hard for it. With a blender things are slightly more tricky, but then it depends on how you like your orange juice, I like mine smooth so using a blender involves putting the juice through a strainer afterwards. But if you like it more like a smoothie with lots of pulp then a blender is the perfect method for you. Step 1. Peel It – Just like with the juicer method you’re going to want to peel it, again with your hands if you can get all the white pith off or with a knife, just make sure all the peel is removed. Step 2. Remove The Seeds – This is more important for the blender method because everything you’re putting in the blender you’ll be eating and you don’t want to eat orange seeds. Step 3. Blitz It – Now put it all in the blender and whizz until it becomes a smooth puree. It’s good to drink as is or if it’s a little too thick you can add in some water and pulse the blender to loosen it up and make it smoother. Or you can strain it. Optional Step 4. Strain It – To get from here to a smooth orange juice is a case of putting it through a strainer of some kind. A sieve does an OK job but a nut milk bag works even better keeping all the pulp out and letting you squeeze all the juice out into a bowl. And there you have it! 3 different methods you can use to make orange juice. Now there’s just one last question. How long does it last? I’ve actually got a more detailed article on this for those who are interested, but what it comes down to is how it’s made. Made in a blender or a centrifugal juicer you’re OJ will last about 24 hours, but manually or from a masticating juicer it will last 48-72 hours if it’s kept in a bottle in the refrigerator.